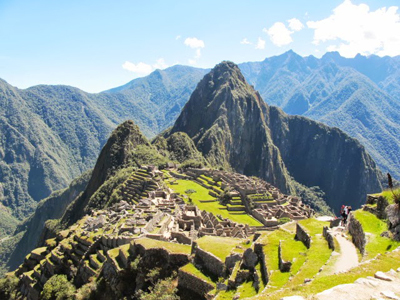 Experience the highlights of Peru with a custom itinerary enabling you to see as much as you can during your stay. 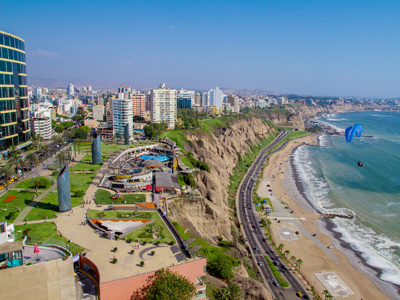 Fly into the capital, Lima, to discover Peru's modern cultural center. This thriving city is a gastronomic capital of South America, so eat well! Fly to Cusco, where the Andean empire of the Inca still resonates today. Explore the Sacred Valley before taking a train journey to the citadel of Machu Picchu. 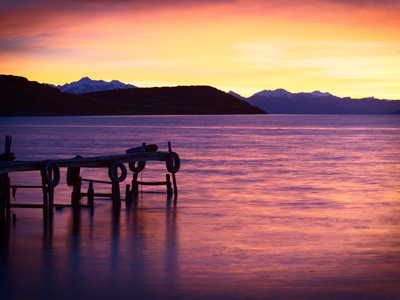 Finally, fly to Lake Titicaca for three nights of luxurious accommodation on the shores, complete with privately guided activities around and on the lake. Today, you will be taken on a half day private tour of Lima. In addition to the classic attractions, your guide will introduce you to the city's best kept secrets. Your first stop will be the charming Main Square, designed by Francisco Pizarro in 1535, the founder of Lima. In the northern side of the square, you will continue to the impressive Presidential Palace, followed by a visit to the Cathedral. This historic attraction was built in 1625 and features a unique Baroque Renaissance Style. It houses a fascinating collection of oil paintings and sculptures from the 17th and 18th centuries. Additional stops on your tour include the Archbishop’s Palace and the Church of San Francisco, built above a network of underground tunnels and catacombs. 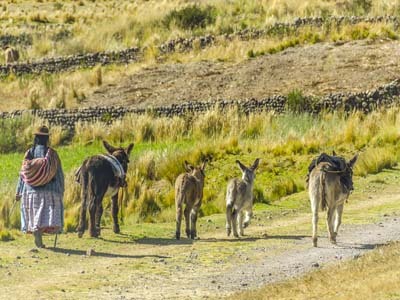 Today, you will be taken on a full day private guided tour of Chinchero, Moray and Maras. The charming town of Chinchero features colonial style construction and was once a major agricultural center during the Tawantinsuyo. Here, you can admire the stone walls with trapezoidal niches, that provide the perfect setting for the town's traditional local market. The Chinchero women can be recognized for their distinguished clothing and braided hair. Early in the morning you take a train Machu Picchu Pueblo (formerly known as Aguas Calientes) . The journey follows along the impressive Urubamba river to the base of Machu Picchu itself. On arrival you take a short bus ride direct to the ruins. Once there, you can enjoy an extensive walking tour of the ruins and full explanation of the fascinating history behind the Incas. If time permits you can explore further to the Inca bridge, Watchman’s hut or try the strenuous climb to the sun gate – Inti Puncu. Some may prefer to just relax and take in the stunning location. After a full day to explore the site, you retire to your hotel. 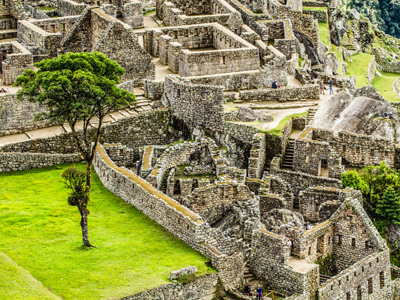 Return to Machu Picchu today and spend the day in individual exploration, visiting features of the ruins you may have missed. We are providing shuttle transfers to and from the ruins as well entrance fees. Please note if you wish to climb Huayna Picchu you will need to purchase a permit in advance. After your exploration, make your way back to the Machu Picchu train station for your train onward. You are welcomed on arrival at Juliaca Airport by our Guest Services Representative and transported to Titilaka lodge. You will pass through Juliaca and the port city of Puno. Upon arrival at the Lodge, check-in, rest, and enjoy the scenery as you acclimate. Upon arrival at the Lodge, check-in, rest and enjoy the scenery. Lunch is based on the region’s local cuisine served from 12:30 pm to 3:00 pm. We recommend a siesta and plenty of liquids to acclimate to the altitude. Enjoy Teatime at 3:30 pm followed by an afternoon excursion, Rowing through the Reeds near the lodge, where you can observe interesting endemic birds, striking landscapes of a unique geography. The second day is very active. Begin with a healthy breakfast on the terrace with a variety of fresh fruit, local cereals and prepare for the excursion to Taquile Island on a 45-minute boat ride across the lake. Taquile is considered the most interesting island on the area because of its pristine way of life, unique history and amazing crafts. The Taquile people are of Quechua origin, as opposed to the majority of region’s locals who are of Aymara origin. As part of the Inca Empire, the island has archaeological remains located on the peak of its mountain. From the island, you can view the impressive snow caped Cordillera Real in Bolivia. The island enjoys a favorable microclimate for agriculture, producing crops that don’t normally grow at these altitudes. As you walk around the island, you will see meet men knitting outdoors, creating some of the finest handicrafts in Peru. Return to the hotel for lunch and siesta. After tea, choose from one of the excursions near the hotel. A brisk walk past the hotel’s peninsula and along the lake’s shores is one of the more scenic and pleasant activities available. 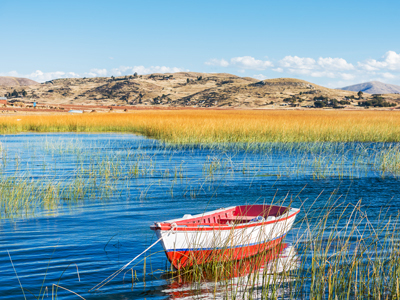 The lake’s impressive size, diverse nature and pristine sights have long kept visitors to Titicaca in awe. Pass sandy beaches, thick reeds and lush marshes to reach a local community or countryside. Here you will be able to see their agrarian and fishing lifestyle as it is inherent in their customs and traditions. Cocktail at 6:30 pm followed by Dinner. The third day is a more leisurely day. After rising at the hour that suits you, enjoy breakfast in bed if you wish wake at dawn to a magnificent sunrise. In the morning your guides will take you by car and boat to visit the legendary islands of Uros and meet one of traditional families that live there. The Uros Floating Islands are located near the protected National Reserve of Titicaca. The people of Uros are a proud culture who due to persecution by other groups found refuge by living on manmade islands many years ago. They call themselves kot-suña or people of the lake who claim to have "black blood," as they are immune to the cold and consider themselves to be owners of the lake and its waters. Learn about their history, uses for totora reeds and customs after exploring one of these impressive islands. The site is a must for travelers to the area; thus expect to see many other visitors. Return to the hotel for lunch and a siesta. After teatime you could you can bike the fields of Plateria. This biking excursion will become one of your memorable bike rides. The fields of Plateria, the district where Titilaka is located, provide the perfect setting for active exploration. Follow country roads along the grand lake and diverse terrains, where you will observe the local villager’s rural way of life. You will see them washing clothes, herding their animals and tending to their children. These are conditions for a great time outdoors; you set the pace and direction. Return to the hotel for dinner at 7:30 pm. After breakfast, prepare for checkout and transfer to the airport. On your airport transfer enjoy a guided excursion to Sillustani, a spectacular peninsula facing the Umayo lagoon and home to the area’s best preserved remains. In addition to its unique geography, this site was a burial ground for the Pucara, Tiahuanaco and Ccolla pre-Inca cultures long before the Inca expansion. The tower-like structures known as Chullpas, which symbolized life and birth, are ancient and impressive tombs for chiefs and other dignitaries. Later the site was inhabited by the Incas, who made their own version of these towers. The difference in periods and cultures is seen in the two types of chullpas- the rough, smaller pre-Inca towers, and the smooth, larger ones made by the Incas. The biggest tower took about 50 years to construct and holds rocks weighing anywhere from 2 to 6 tons. This is an impressive site that combines archaeology, history and an amazing landscape. Farewell takes place at the Juliaca airport, where you will board your flight back to Lima.